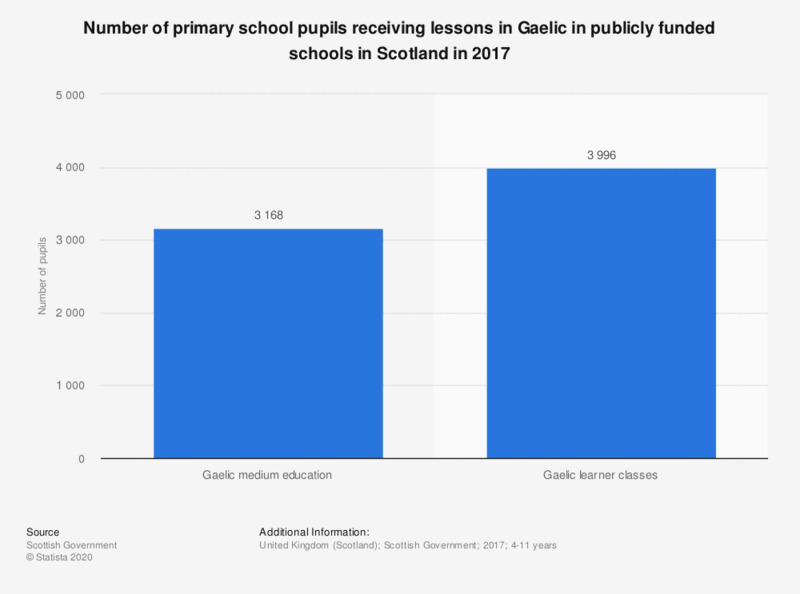 This statistic shows the proportion of Scottish primary school pupils who received lessons taught in Gaelic in 2017. Whilst 3,996 took gaelic in learner classes, 3,168 took gaelic at medium level. Everything On "Languages and education in the United Kingdom (UK)" in One Document: Edited and Divided into Handy Chapters. Including Detailed References. Statistics on "Languages and education in the United Kingdom (UK)"
Do you feel that students going to primary school nowadays learn what they need?